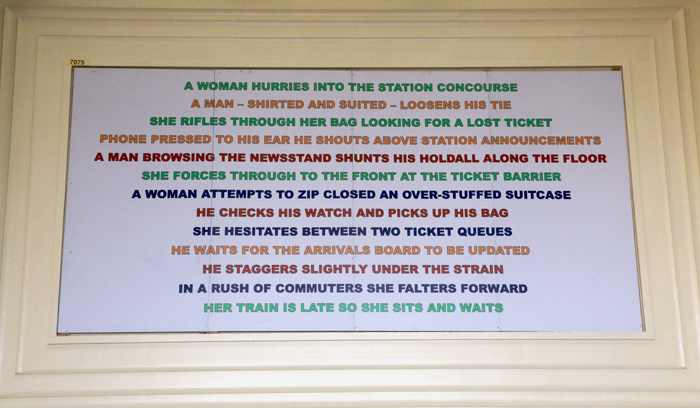 A billboard work designed for Leeds Railway Station, 'Concourse Quartet' displays a series of short texts describing the actions of four typical characters passing time in a railway station. The text is rendered in four different colours with each colour representing a separate character. 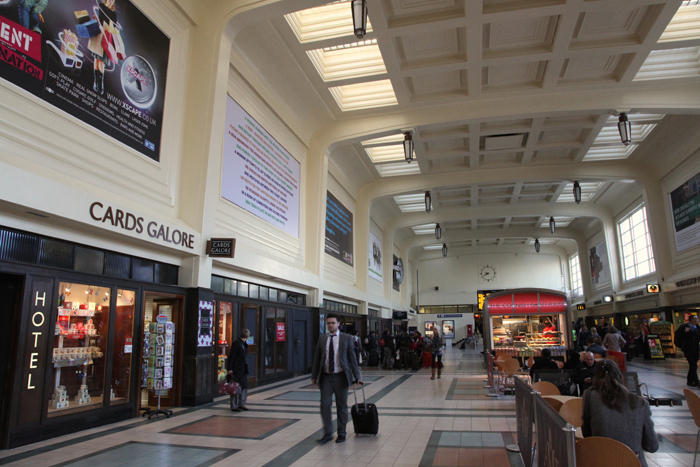 The words are imagined but have the potential to mimic actual activities happening in the station as the billboard is being read. Evoking the quick glances and momentary interactions we have with others in transitional public places, the sparse content of these cameos allows the reader to weave their own imaginings into these mini-narratives.